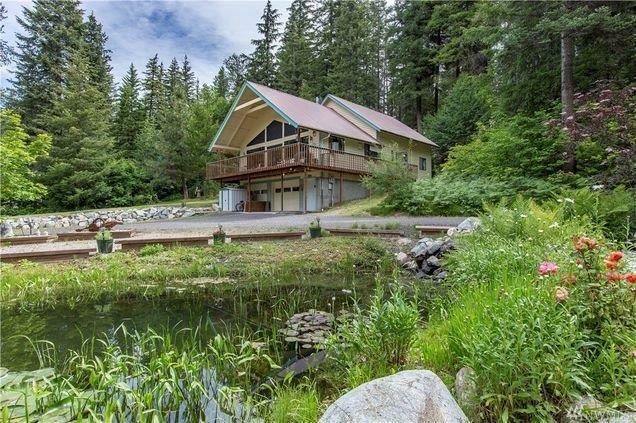 Escape to this Chiwawa River Pines Chalet with a separate MIL quarters situated perfectly on 1.24 acres to appreciate the territorial, mountain and vast Wenatchee River views. Main home is 2160sf open concept with a master suite, additional bedroom, guest bathroom, large loft with views and an attached three car garage/shop. Oversized 936sf MIL with living space, kitchen, bedroom loft and a garage/carport for the all the toys or RV. Additional 14x24 improved shop for the hobbyist. 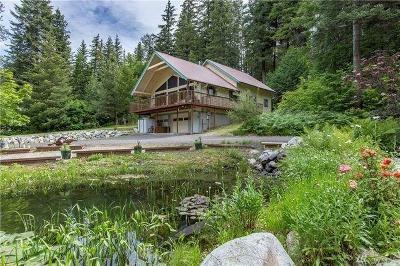 Serene setting at the base of the Cascade Mountains ideal for the recreational enthusiast who enjoys the four distinct seasons from their front door.